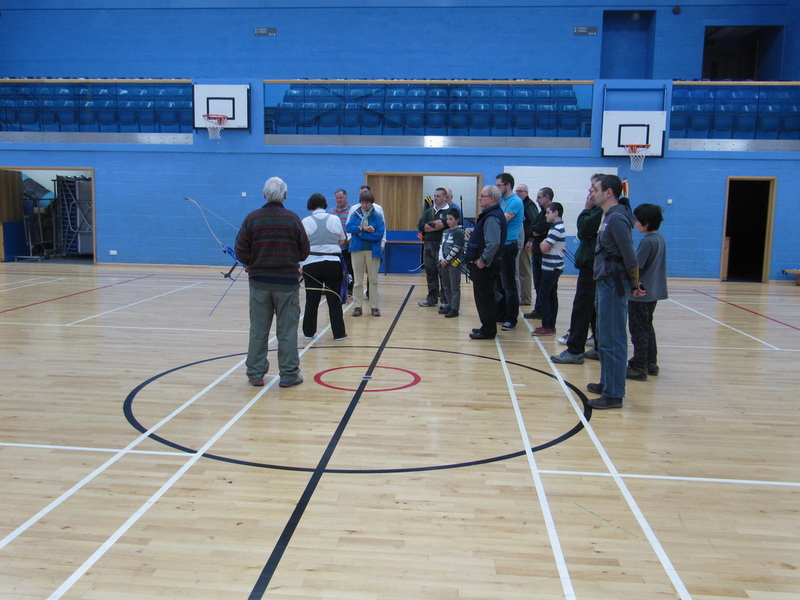 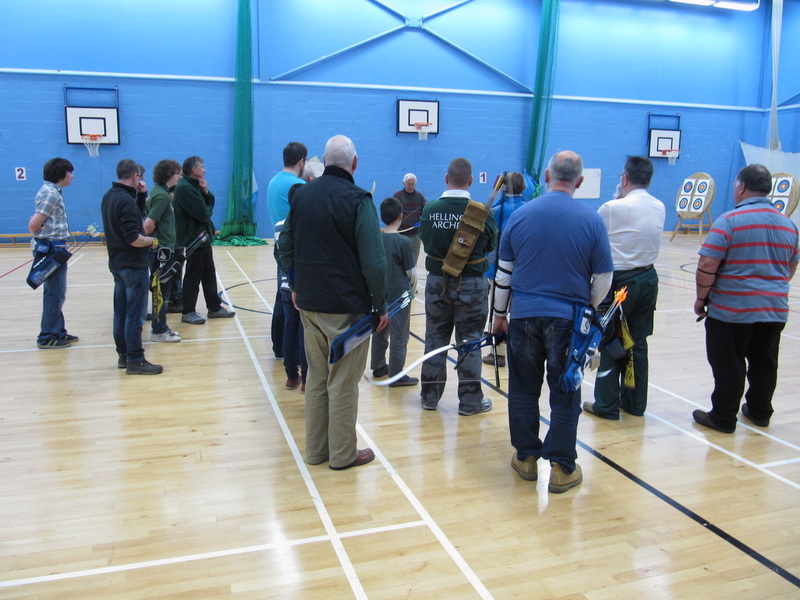 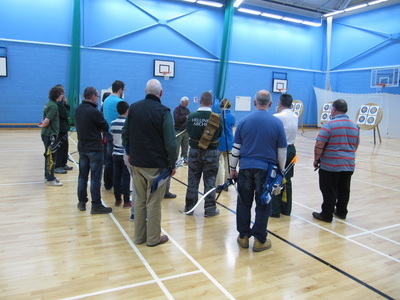 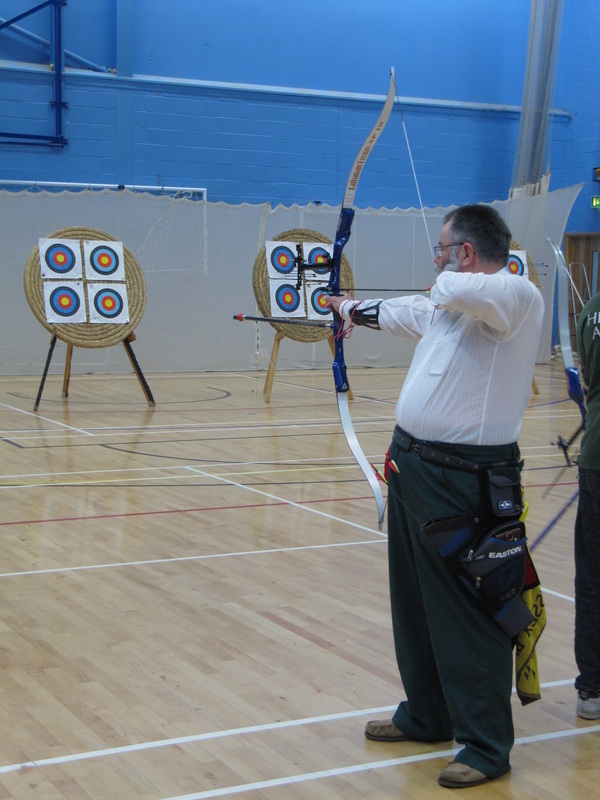 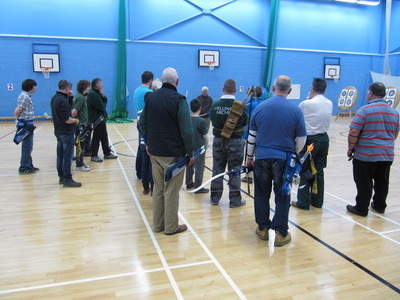 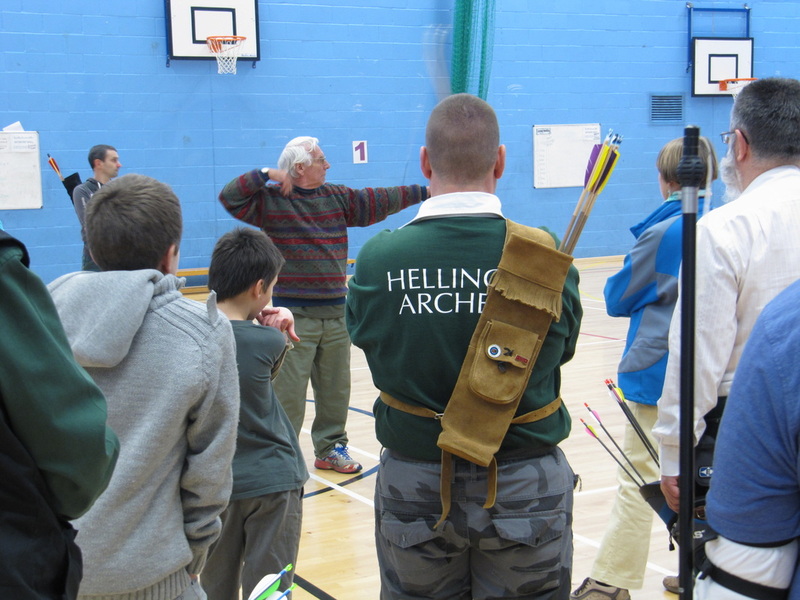 We have been fortunate to have been able to welcome Sue Habgood and Colin Dickinson to our Indoor archery sessions this season. 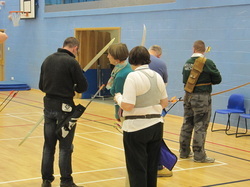 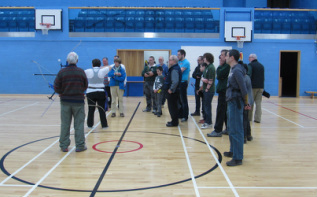 They have provided our beginner and improving Archers with interesting and informative coaching; covering a range of topics and techniques including: stance, nocking the arrow, bow set up, draw and release, follow through and timing, to name just a few! 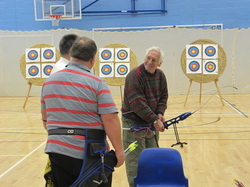 At our latest session Sue and Colin were able to see many improvements from their earlier visits. They observed Hellingly archers in action; shooting a Bray 1 round. 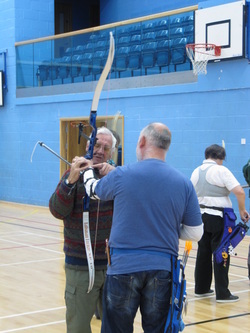 From here they were able to help various members with timing, button set up, problems with sights and adjustment and the setting of nocking points. 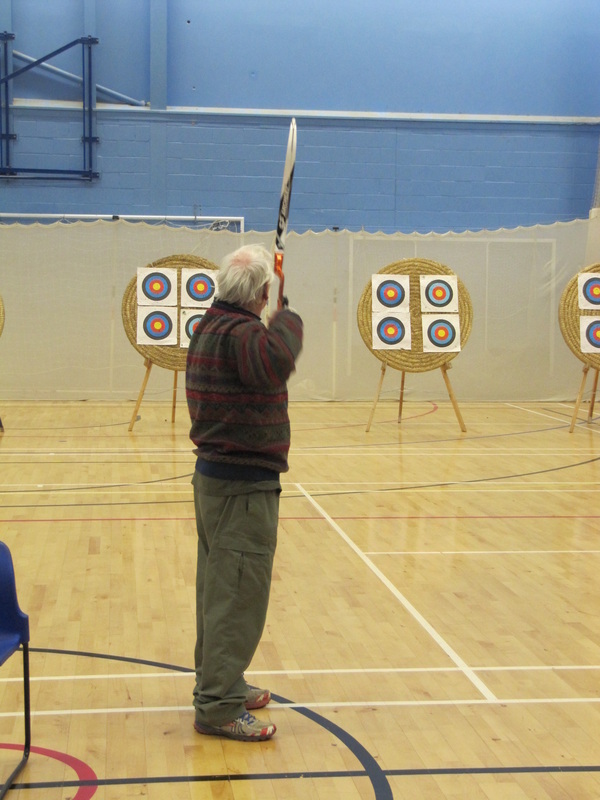 We have found Sue and Colin's enthusiasm most inspiring and it is genuinely a pleasure to welcome them to our club. Thank you to all of our members who have given feedback about these sessions and to Sue and Colin for so willingly finding the time to spend with us and for sharing your expertise.